We are a small farm located in northeast Indiana. 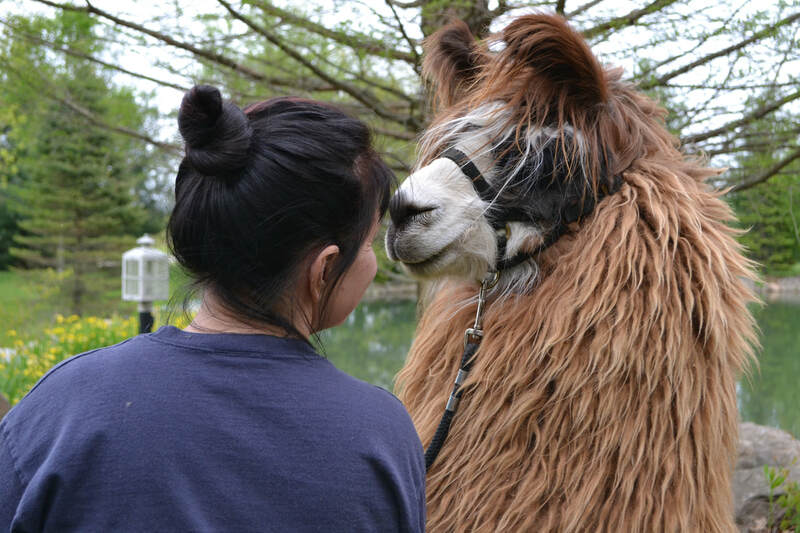 The saying "my llamas are not spoiled, I'm just well trained" fits us, as we get to know each of our llamas and quickly learn how to best care for them. Argentine llamas are known for their dense fiber, large bone structure, intelligence, and sweet dispositions. They have a large range of heights and can have lofty, silky, or locked fiber. Their colors range greatly with shades of red and brown, rich mahoganies and chocolate browns, whites, blacks, and less often paints and appaloosas. As you will see, we have a variety of these colors and fiber types. With a limited number of Argentines in the US, we are particular about our breedings and do so for conformation, fiber, and temperament.